Rapid Design operates in 17,000 sq.ft. 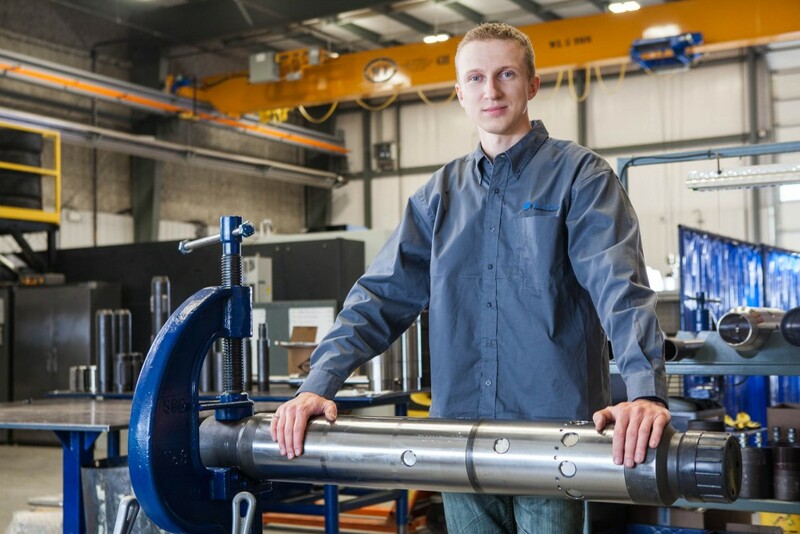 facility and is focused on continual innovation in both engineering and manufacturing of downhole tools. Customer service and collaboration represent core values of our company, as we work extensively with customers for the entire design, manufacturing, and prototype development process. We realize that our clients are experts in their field, and accordingly, we offer consulting, designing, manufacturing, and production services that fulfill customer requirements and exceed expectations. While we emphasize the creation of completely innovative products, we can also refine existing designs to improve the efficiency of processes. The availability of in-house production allows customers to optimize the efficiency of the process, saving time and money by quickly converting their model into a finished product. Our state-of-the-art manufacturing facilities feature a wide array of machining capabilities that can produce virtually anything. We provide clients with the distinct advantage of direct access to a manufacturing facility, promoting open lines of communication throughout the process. By working together, we’re inventing success. We consult, design, and produce on site. We engineer prototypes to perfect the final product. Let's get started on bringing your ideas to life. Contact us through our contact page.